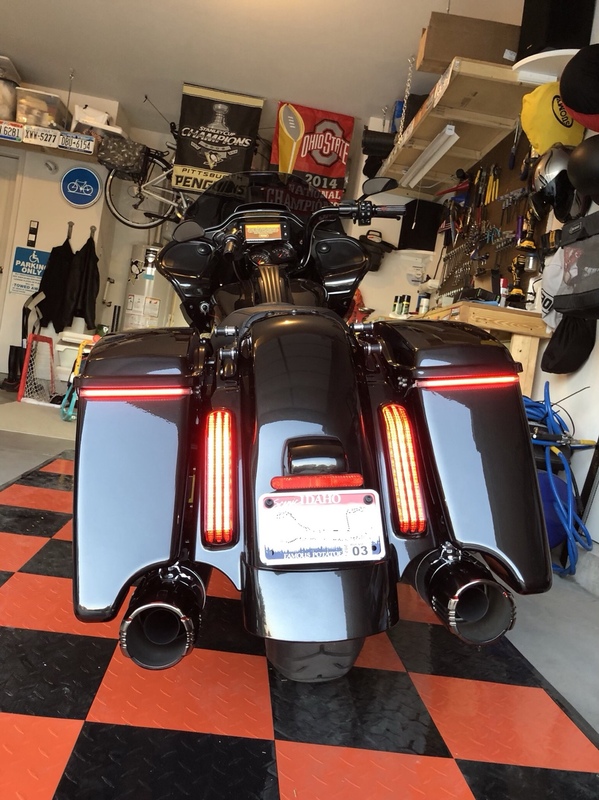 So I have been searching for a way to add some light to the back of the bike and decided to go with ciro since they were the smallest and least noticeable when off. Install was quite easy and quick and I am quite happy how it turned out. Very nice!! Do you use the "big plug" to run the wires? 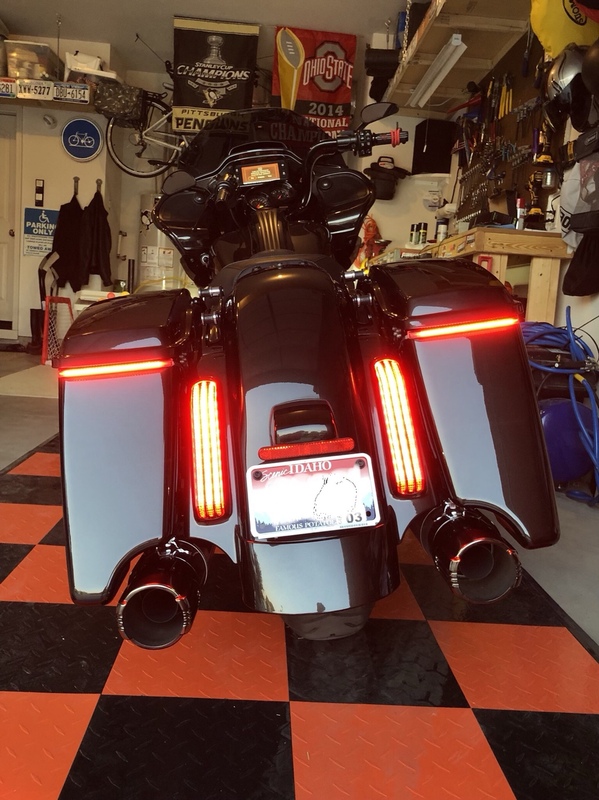 I like the amber signals.....as Canadian bikes have amber in the filler strips! Hoser, ya done good. Those look great and yep, stealthy, too. I had to go back to your first picture to find them after I saw them lit. That should really give you the extra light you were looking for. 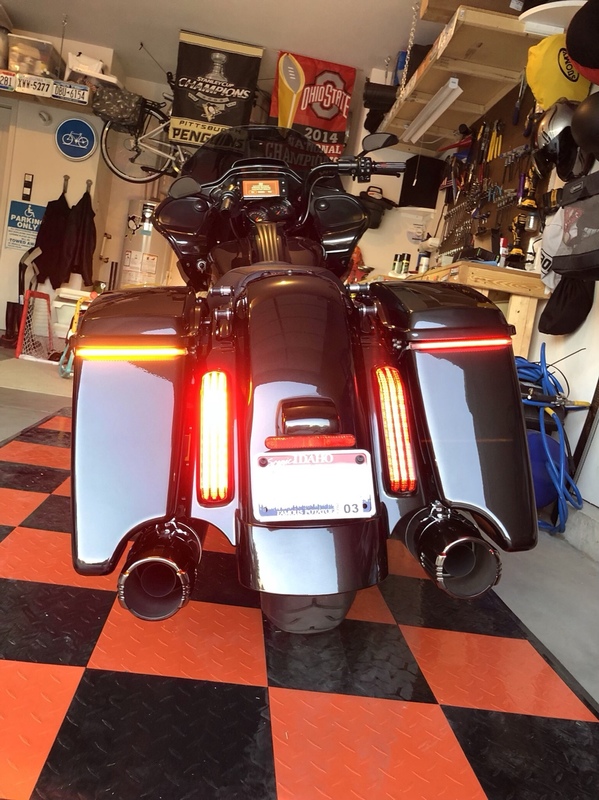 So they have 2 options one is all red but this apparently doesn’t have all functions with a CVO bike and this one with the amber turns. So in order to get everything this was the option from ciro. I had never even heard of those but now they are on my radar! Very Nice! Lights look good. Like the Ohio State banner! 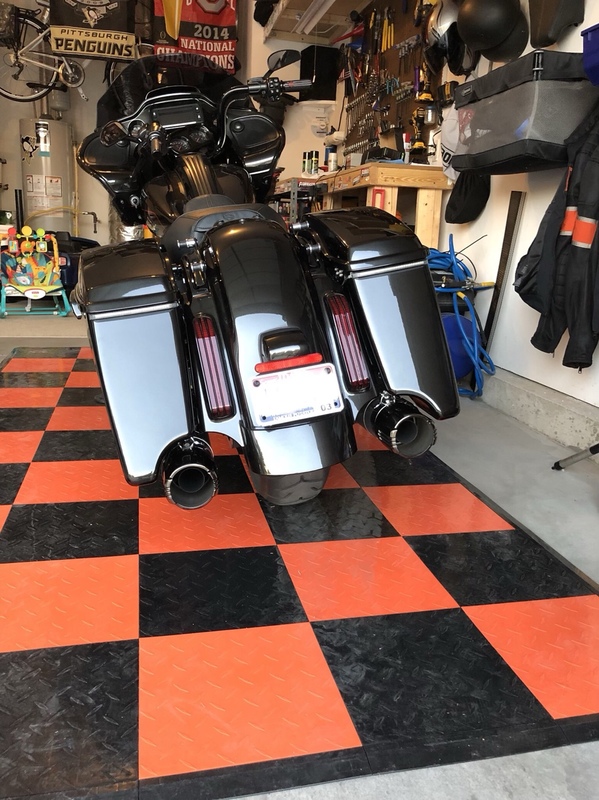 Have you had good luck with the floor tiles in your garage? 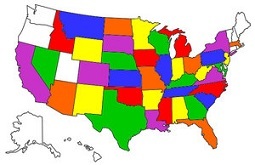 Yeah I am originally from Ohio so a Buckeye for life! I have had the tiles for just a few weeks and they are good so far but all I have really done is park on them. I previously just parked on an old piece of carpet but this looks a little nicer. Floor tiles look great. I'm still on the old carpet. Do you have to remove the seat always when the Bags should removed? Do the Ciro Blades flash or come on sequentially like the Custom Dynamics bigger version? Doing some homework now on floor tiles...Ready to do my new garage next month.. The way I have it the connections are under the seat not sure if you could move it around enough to have the connections out from the seat. It would involve arranging some of the connectors under a little different. I don’t take my bags off too much anyway. did add more light on my King. I just 're-found' this thread. Anyone install these and use extra pins on the SG/RG speaker/amp connector? Are there extra pins? Did you need a controller with these lights?